Eyelid Surgery is commonly used to reduce signs of ageing around the eyes. The procedure is known to eliminate bags, wrinkled skin of the eyes, drooping eyelids and get rid of that somewhat tired look that some people have. Four lid Blepharoplasty or double eyelid surgery is a surgical procedure that is designed to restructure and reshape the upper or lower eyelid by repositioning or removing excess tissue. This is the reason that cosmetic eyelid surgery is the most commonly done procedure in elderly males and females to rejuvenate their eyes and face thus giving a more rested and youthful look. Ptosis which is also known as lazy eye, is a condition found in a lot of people. It is especially advised to get this corrected at a young age. This can either be hereditary or acquired. Usage of heavy drugs is also known to cause this condition. Surgical correction is mostly needed to allay this condition. Eye Ptosis surgery is known to restore both appearance & function in most if the cases. The Blepharoplasty procedure is performed under local anesthesia and the excessive skin folds are removed along with fat bulging from under the eyelids. Upper Blepharoplasty is usually performed through external incisions made along the natural skin lines of the eyelids and Lower lid blepharoplasty is done through an incision just below the lash line so that the scar is almost inconspicuous. Transconjunctival Blepharoplasty can be done in the lower eyelid and in this procedure the incision is made in the inner side of the eyelid. Excess skin and bulging fat is resected or fat is repositioned in the areas of grooving and hollowing. It’s only natural to see some swelling and bruising following blepharoplasty surgery which gradually subsides in a week’s time. Normally ice pads are put on the eyes to reduce the swelling and adequate lubrication is done so as to keep the incision lines moist. Blepharoplasty’s effects are best appreciated completely after 3 weeks as the tired look wears off, giving way to a rejuvenated appearance to the person. 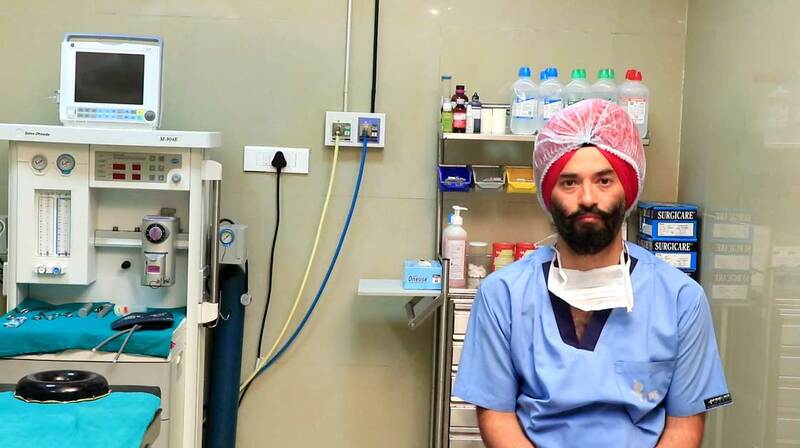 There are no serious complications associated with this surgery apart from swelling, bruising, stiffness and dis-colouration which are quite natural to persist for a while and disappear thereafter. 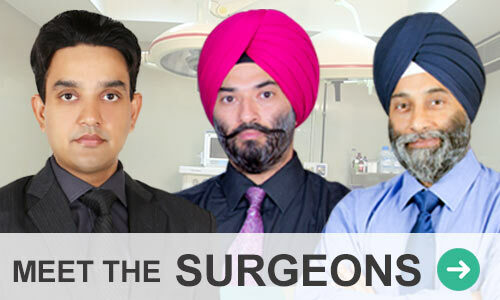 Planning to get a Blepharoplasty in Punjab? The team at Tricity Institute of Plastic Surgery (TIPS) is proud to have the best cosmetic surgeons who deliver the results that you would like to see for yourself. 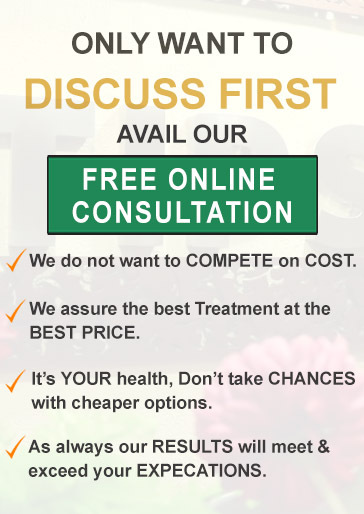 The first step for you will be to contact us for a free consultation and thereafter we can move forward. Also if you are looking for ptosis surgery, consulting our highly qualified surgeons should be your first step. Please fill the contact us form and we will get in touch with you. All communications will be kept highly confidential.